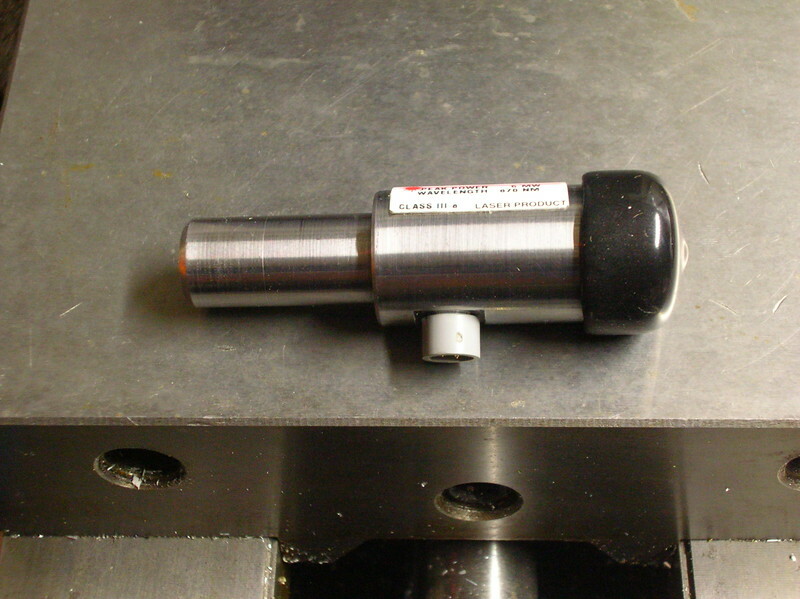 I designed and built this little assembly, to precisely show the CNC path, when testing a CNC program. It focuses a to a spot, with a large offset, so there is a reduced risk of collision. It should help me spot problems with the G-code, especially when machining close to the vise, clamps or other fixtures.